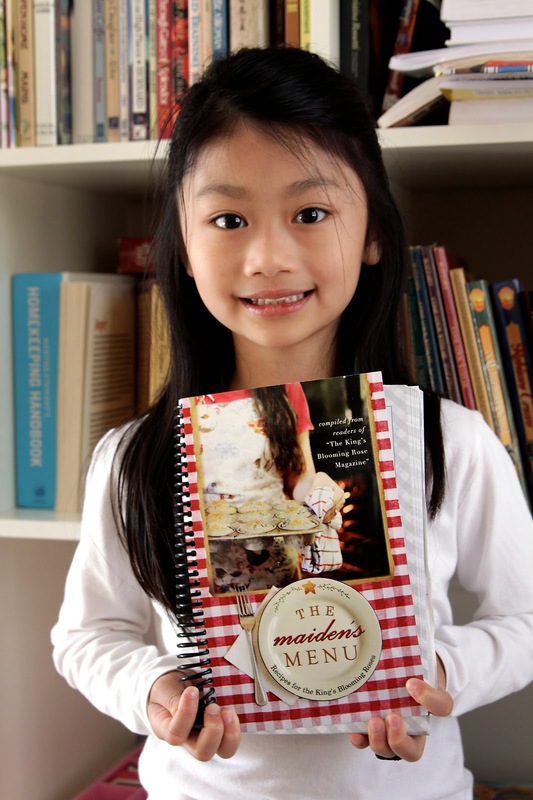 Elizabeth may be only 6 (7 next month, she is quick to add), but she LOVES cookbooks. She even enjoys READING the recipes!! Yep, a girl after my own heart. Recently her daddy bought a new cookbook for her from King's Blooming Rose called The Maiden's Menu- Recipes for the King's Blooming Roses. She found a wonderful breakfast casserole for us to try and, boy, was it delicious! We WILL be having this again!!! Add salt and mustard to beaten egg-milk mixture. 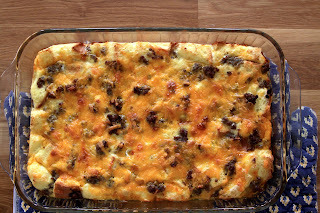 In a 9x13 casserole dish, layer bread cubes, sausage, and cheese. Pour egg mixture on top. Refrigerate 6-8 hours or overnight. Bake at 350 degrees for 45 minutes and serve warm. Elizabeth is so big now!